Evel Knievel is the household name for death-defying stunts. When you think of motorcycle stunts, you likely picture him in his Elvis-inspired costumes, leaping over rows of cars and buses. To many, he is still the greatest stuntman of all time and arguably the most famous. However, records are made to be broken, and stunt performers are always pushing the boundaries of what’s considered possible. Believe it or not, over the last several years, some people have pulled stunts that make Knievel’s look tame by comparison. A skateboarder doing something crazier than Evel Knievel? “That’s ridiculous!” I hear you say, but it’s true. In 2005, Danny Way stunned the world by ollying over the Great Wall of China on a skateboard. If Way, who had previously leaped out of a helicopter on a skateboard and built a seven-story ramp, wasn’t already the Knievel of skateboarding, this certainly sealed the deal. He had a custom ramp built around the tallest portion of the Great Wall (since, you know, jumping the lower portions wouldn’t cut it). The ramp was tall enough that the top swayed in the wind. During a practice run, he accidentally broke his foot, but instead of getting surgery right away (like a sane person), Way wrapped his foot to prevent it from swelling and jumped the wall anyway. On his way down, he rolled onto the ramp, and everyone’s heart skipped a beat—he not only jumped the Great Wall but performed a breathtaking 360, thus conquering it like a Mongol! Kyle Loza is one insane man. As proof, consider how he cheated death during the 2008 Summer X-Games Best Trick competition. In mere seconds, he launched his bike three stories into the air, and while keeping just one hand on the bars, he did a handstand in midair and flipped his body all the way around—briefly touching the hand of death—before returning to his seat. He then landed and simply rolled away like it was an everyday occurrence! Brian Deegan is the original bad boy of freestyle motocross. He practically invented the sport when he “ghost rode” his bike across the finish line in celebration after winning the 1997 LA Supercross. The American Motorcyclist Association disapproved of this stunt, and he was fined for it, but the crowd ate it up. 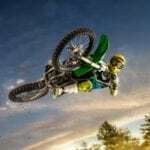 Deegan then teamed up with Larry Linkogle to form the freestyle motocross (FMX) team Metal Mulisha and soon began dominating the early days of FMX competition. Despite still nursing an injury he received from the prior Winter X-Games, Deegan entered the 2004 Summer X-Games FMX Best Trick competition. With his punk rock attitude, he launched toward the ramp and shot into the air, performing a jaw-dropping 360-degree flatspin. This dangerous maneuver combines a backflip with a horizontal rotation. This stunt is tough enough to pull off when healthy but nearly impossible to do when injured! However, in 2006, a gathering of FMX riders arrived in Queensland, Australia, for the Night of Records. This was a FMX event where a few riders would attempt to break Doug Danger’s record of 77 meters (251 ft). (Danger had since broke Knievel’s long distance jump record.) Seth Enslow was scheduled but had to back out after injuring himself during a practice run. This gave Metal Mulisha founder Larry “Link” Linkogle a chance to break the record, which he did by jumping 78 meters (255 ft). He was the new world record holder . . . for a whole couple of hours. On that same night, FMX rider Trigger Gumm, as if he were a rocket soaring to the Moon, flew an incredible 84 meters (277 ft) on his motorcycle, shattering both Danger’s and Linkogle’s records in a single night! Throughout the 1990s, motocross riders were pushing the envelope of the sport. This is when riders such as Jeremy McGrath and Mike Metzger began performing BMX tricks on their motorcycles, leading to the creation of freestyle motocross. Metzger and mutual rival Carey Hart wanted to adapt the ultimate BMX trick to the moto: the backflip. However, both of them failed their attempts and visited the ER a number of times. By the end of the 1990s, performing a backflip on a motorcycle was thought to be impossible. However, at the 2000 Gravity Games (the X-Games’ forgotten younger sister) Carey Hart made everyone’s heart stop when he launched his bike toward a dirt jump. In the blink of an eye, he was three stories in the air, inverse rotating his bike and landing the Holy Grail of FMX! The impossible was made possible, paving the way for a whole new era of freestyle motocross. In 1967, Evel Knievel saw the Fountains at Caesars Palace in Las Vegas and knew jumping them would be the ultimate thrill. If he could pull it off, he would forever be a legend. So he organized the jump with the casino’s CEO through some clever social engineering by posing as a fake corporation (Evel Knievel Enterprises), even going as far as making calls to the CEO claiming to be from ABC and Sports Illustrated to organize the jump. On December 31, 1967, Knievel, after a shot of whiskey, jumped the fountains and landed on the ramp but came up short. Knievel ended up crashing, breaking a shopping list’s worth of bones, and spent 29 days in a coma. In 2006, as a tribute to his childhood hero, Mike Metzger—the Godfather of freestyle motocross himself—wowed a crowd of spectators when he backflipped his 100-kilogram (220 lb) bike over the fountains at Caesars Palace, somersaulting 38 meters (125 ft) through the air. No one in their right mind has ever jumped London’s historic Tower Bridge. That was until an early summer morning in 2009, when FMX rider Robbie Maddison (“Maddo”) did exactly that. Tower bridge was shut down by the police and moved to the raised position to become the world’s deadliest ramp. If Maddo were to fail, he would have been in serious trouble in the dark waters of the River Thames. He took his 120-kilogram (265 lb) bike and not only jumped across the raised bridge but performed a backflip during the jump. From a young age, Travis Pastrana has always been successful on a motorcycle. At 16, he competed in the first-ever X-Games Freestyle Motocross Competition and invented his own trick: the Lazy Boy. In front of the packed Staples Center crowd with his adrenaline pumping, he took his Suzuki, sped toward the ramp, leaned back, and at that moment, it looked as if time stood still while he performed two full rotations in midair! Nine years after Travis Pastrana stunned the world with his double backflip, Josh Sheehan wanted to push the envelope a little further—by going for three. With the help of none other than Pastrana himself, they built a custom ramp in Travis’s backyard, a ramp tall enough for the bike to gain enough altitude for Sheehan to perform three full rotations. With nerves of steel and a lot of guts, Sheehan fired his Honda to life and raced toward the ramp. After launching from the ramp, he leaned back, and like something straight from a Hollywood movie scene, things moved in slow motion as he performed the deadly triple backflip. He touched down safely, threw his bike to the side, and held his arms up like he was the king of the world. He was then mobbed in celebration by the Nitro Circus crew. Time and time again, Robbie Madison has raised the bar in FMX. In 2005, he set the record for longest jump while performing a trick. In 2008, he broke Trigger Gumm’s long distance record with a jump of 107 meters (351 ft). On New Year’s Eve 2008, Madison raised the bar to impossible heights. In font of 300,000 onlookers, he raced his Yamaha toward a ramp and rocketed ten stories into the air, landing on the 12-meter-wide (40 ft) platform of the Arc de Triomphe at the Paris Las Vegas hotel. Maddo now had to get back down, and he wasn’t about to take a safe helicopter like some kind of wuss. Instead, he took his bike and simply rode off the side into a 15-meter (50 ft) free fall! Fortunately, there was a ramp waiting for him to land on and roll away safely. He was just as stunned as anyone in the crowd that he pulled off this incredible, daring stunt and lived. Joshua Courter is an automotive journalist who enjoys writing about cars, hot rods, and drag racing history. On occasion, he has written about baseball, action sports, and music.